What return should you be getting from your remarketing ad spend? The answer depends of course on the part of the funnel you are remarketing against, what remarketing messages you are using and where you are placing your ads. 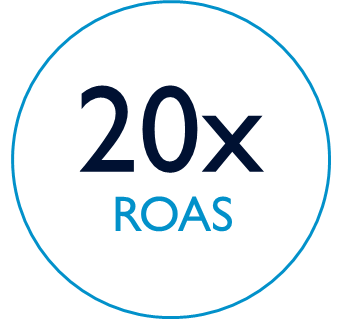 If you are looking for as high a return as possible then retargeting customers who have added to cart will be a good strategy delivering up to 20x ROAS (return on ad spend). The volumes here will be much smaller, so if you want to increase the pool then you might want to remarket to people who bounce from your homepage. Don’t expect more than 1x to 3x. Remarketing across the funnel, with tailored messages, you might expect anywhere between 4x to 8x return.